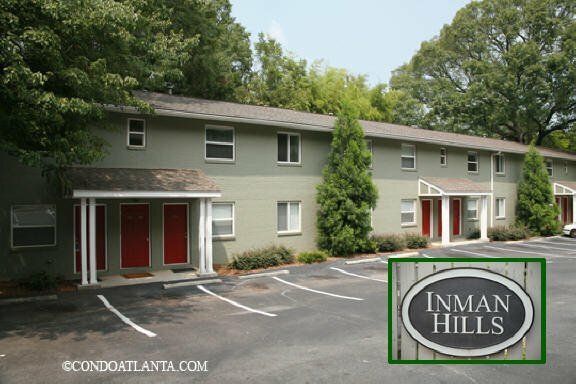 Inman Hills is a community of condominium homes located in the Heart of Atlanta’s Inman Hills neighborhood. Love your home walking distance to Inman Park, and the Bass Recreation Center. Enjoy your home location just a short drive to the Ponce City Market, Historic Fourth Ward Park, Krog Street Market, and the Edgewood Retail District. Inman Hills has a fabulous location central to Little Five Points L5P, Edgewood, Cabbagetown, the Historic Old Fourth Ward O4W, and Freedom Park. Commuters will appreciate access to travel routes along Euclid Avenue, Dekalb Avenue, and Moreland Avenue.